You know her as the quirky, eccentrically-dressed newsreader from SBS World News. 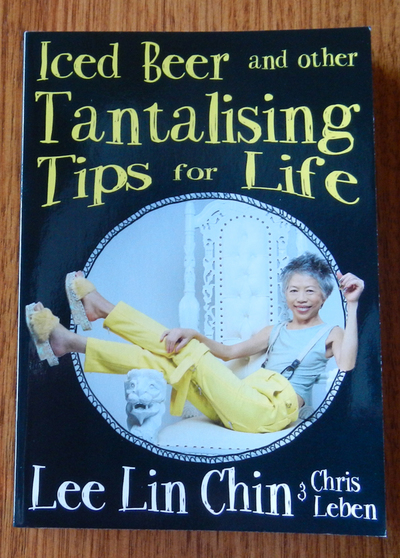 Lee Lin Chin - with her acerbic wit and impeccable taste- has been associated with Australian television for over two decades, and has since drummed up thousands of followers and fans. Considered a God by some, this Indonesian-born Australian of indeterminate age has now imparted her unique brand of advice to the masses with the release of her first book of wisdom. Forget the books that encourage mindfulness and self-fulfilment- this book deals with the more important things in life, such as acceptable career choices (mostly alcohol-related) and the importance of choosing the right housemate (because you don’t want to be saddled with a roomie who expects you to do household chores). She encourages spontaneity, sexual conquests and holidaying, and shows her abhorrence for excessive technology use, people who buy multiple investment properties, and those who insist on posting selfies online for every conceivable event in their life. Towards the end of the book, she answers some twitter-based ‘fan mail’ with her inimitable flair for sarcasm, and promises to do her best when running for Prime Chinister of Australia in 2019, despite being a Gold Logie Loser. This book is a fun, tongue-in-cheek collection of witticisms and advice by one of Australia’s best-loved television personalities. Lee Lin Chin adopts a cheeky, sometimes violent, but often amusing façade as she treats us to her ‘viewpoints’, which are sure to make you laugh out loud.